Jack White and his second wife Karen Elson were married by a shaman on June 1, 2005, aboard a canoe on the Amazon River in Brazil. On June 10, 2011 after six years of marriage and two children they oddly announced they have decided to separate and sent out invitations to friends and family to join them to celebrate their anniversary and impending divorce. 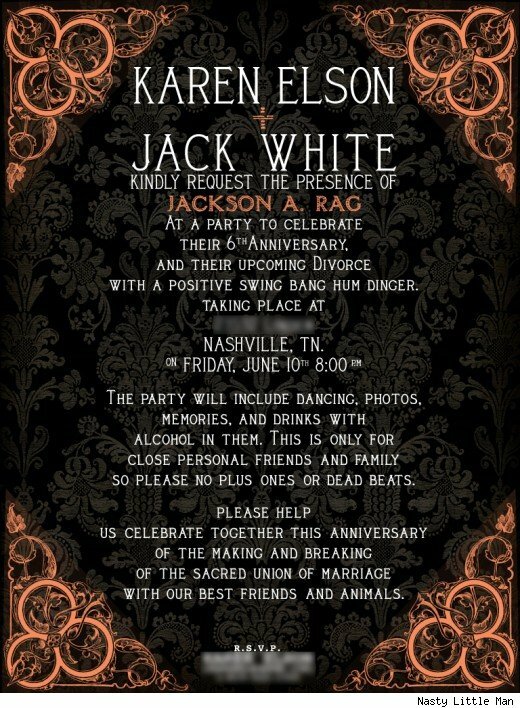 Check out “Jackson A. Rag’s” invitation to the party. Who is Jackson A. Rag? It was obviously too good to be true as the divorce became very nasty and was eventually finalized two years later on Thanksgiving Day November 26, 2013. The legal wrangling involved a restraining order against White with a request that he get his head examined. Jack White even oddly accused accused The Black Keys Dan Auerbach of stealing his music, sound, tone, etc. in his divorce papers. Elson was named the primary residential parent for their two children and White got to keep hold of all of his music businesses, which include his various bands as well as his record label, Third Man Records. 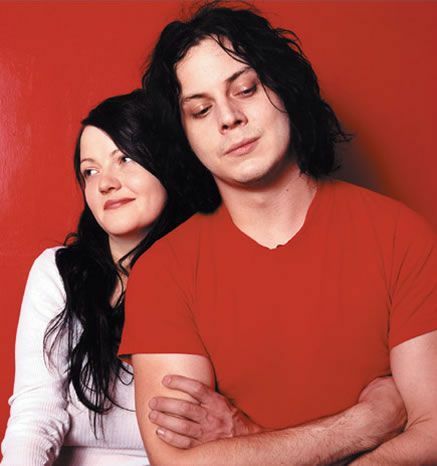 Jack White was previously married to Meg White, took her last name in the marriage, divorced Meg but they still played in The White Stripes together while acting like brother and sister. Click link or photo below to read about that strange marriage.